William and Alexander return from summer vacation to talk about Kanehsatake: 270 Years of Resistance. Alanis Obomsawin's documentary captures the Oka Crisis of 1990 from behind the barricades. Also, Alexander's short on Kamloops and brief summer movies commentary. 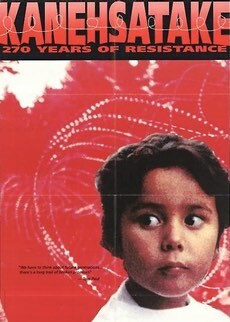 Alanis Obomsawin's films are available for viewing on the NFB website. Find out more about the movie on IMDb: Kanehsatake. Bonus interview episode! Filmmaker O. Corbin Saleken tells Alexander and William about his experience making and selling Patterson's Wager. He shares observations on the current state of indie film distribution plus side notes on Violent and I Don't Feel at Home in This World Anymore. Corbin's movie is available on DVD. Find out more about the other movies mentioned on their IMDb pages: Violent, I Don't Feel at Home in This World Anymore.